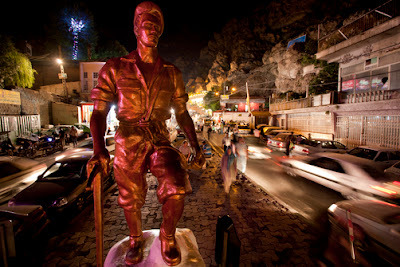 Uppersia Iran Travel blog: The mountaineer statue of Darband. 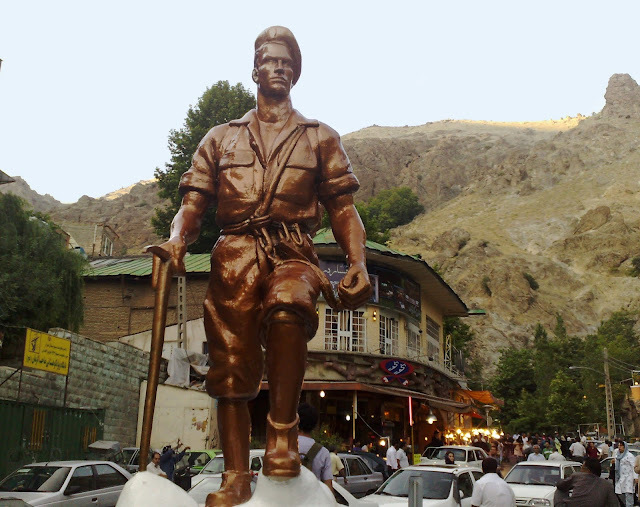 The mountaineer statue of Darband is one of the most famous and memorable urban statues of Tehran. 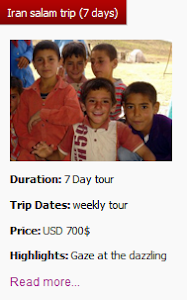 Darband is a mountainous area with a wonderful weather, in the north of Tehran. 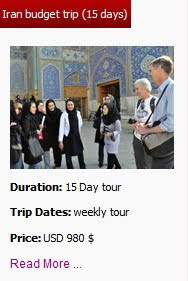 Darband is a very popular hangout for both locals and travelers in Tehran with many gardens, Iranian restaurants and beautiful bazaars. In the winter this area is filled with skiers and mountaineers who are going up to the heights for a great adventurous day. In 1958, the professional Iranian mountaineers asked municipality of Tehran to place a statute on the Sarband Square of Darband as the symbol of mountaineering and winter sports. Reza L. Riahi, the contemporary Iranian sculptor and painter and also the former master of Tehran University of Art, volunteered to design and build the mountaineer statue. After a year of designing and sketching, the statue was ready and installed in the Sarband square where it is standing today. This statue is made of cement and colored in copper. 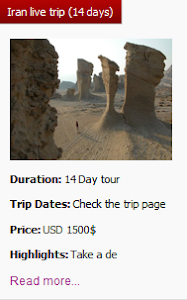 It is the figure of a male mountaineer with climbing suits, welcoming the climbers, nature lovers and any other visitor in Darband. Today after 58 years, this statue is still a popular spot for friends to gather before hiking and skiing and to take photos at the end of an exciting and fun day. 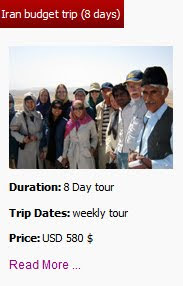 Join Northern Tehran Tour of Uppersia and enjoy the peaceful and fun atmophere of Darband.